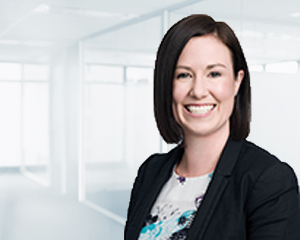 With expertise in self managed super fund accounting and compliance as well as people management and client relations, Leesa Jackson runs the day-to-day operations of the Sydney Self Managed Superannuation Fund (SMSF) Accounting, Compliance and Administration team. Leesa trains and oversees the team, which is responsible for 1600 SMSFs, mentors several managers, is responsible for staff resourcing and meets new and potential clients. She says planning and organising are crucial aspects of her role, helping ensure her team provides a timely and quality service for clients. “Clients are our business, so we place a high importance on customer service and providing value,” Leesa says. “I work with superannuation managers to make sure they have the necessary skills and experience to deliver a high level of service. “Our clients appreciate our assistance in managing their SMSF, and having other integrated services, such as investment and financial advice, means they have people in house to look after every aspect of their financial situation. Leesa started at Dixon Advisory in Canberra and moved to Sydney in 2009 to help meet a growing need for services. Leesa is also a client of Dixon Advisory services and invests in line with the recommendations of the Investment Committee. Previously, Leesa was a member of the audit and assurance division at Deloitte Touche Tohmatsu. Leesa has a Bachelor of Commerce from the Australian National University and is a member of the Institute of Chartered Accountants in Australia.